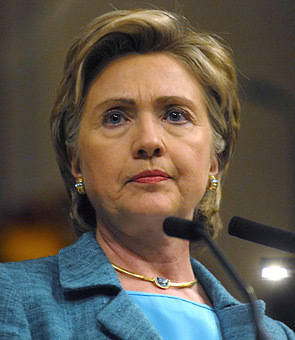 Washington, Dec. 5 : US Secretary of State Hillary Clinton has played down Pakistan’s apprehensions regarding President Obama’s revamped Afghan strategy, and said that Washington is committed to ending the trust deficit between countries. Political quarters and the media in Pakistan are apprehensive about the new Afghan plan, as they believe the massive surge of troops in Afghanistan could lead to extremists crossing into Pakistan. Speaking on television, Clinton said she has had talks with the Pakistani leadership, and they have expressed satisfaction over the new Afghan strategy, which also addresses the problems of that country. “In the personal conversations I''ve had with Pakistani leaders in the last couple of days, there''s a sigh of relief,” The News quoted Clinton, as saying. “There''s a feeling that, okay, so the United States is committed not only to Afghanistan and the fight against the Afghan Taliban, but you’re committed to this partnership with Pakistan,” she said. Clinton said she actually believed that the Pakistani media had responded to the issue much better than what she actually anticipated. “I think we''re making a little progress. I actually thought the press accounts were better than I would have anticipated,” she said. Meanwhile, Obama’s Special Envoy to Afghanistan and Pakistan Richard Holbrooke has also stressed that Pakistan was taken on board over the Afghan strategy well in advance. Holbrooke said both the civil and military officials were approached and taken under confidence over the new Afghan policy before President Obama announced sending 30,000 more troops to Afghanistan.